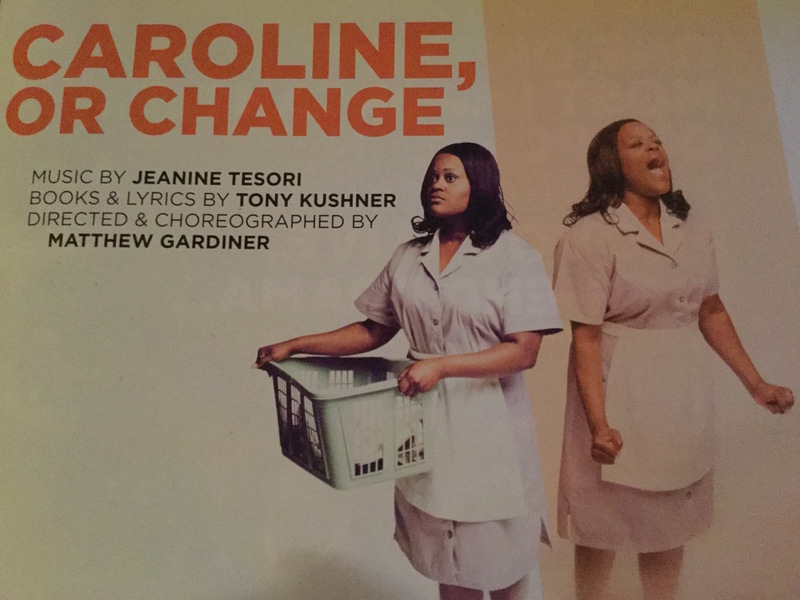 Round House Theatre in Bethesda showed the musical “Caroline, or Change” Thursday at a discounted price for its College Night. Set in the 1960s after the death of President John Kennedy, the play gives the audience a glimpse into the Civil Rights era and masterfully tackles problems such as racism that are still relatable today. The play centers around an African-American maid named Caroline Thibodeaux (Nova Y. Payton), who works for a middle class Jewish family, the Gellmans. Rose Gellman (Dorea Schmidt) gives Caroline the opportunity to pocket the loose change that her stepson Noah Gellman (Griffin McCahill) leaves in his pockets when he puts his laundry in the hamper, which Rose hopes will teach the boy about taking care of his money. The play’s set was very well done. The three-story house was beautiful and authentic for the time period. From the chandelier that was hung on the first floor to the lime green washer and dryer in the basement, the set let audience members see that this family was a pretty well-off family during the 60s. Their privilege was especially apparent because they lived in Louisiana and had a basement, which isn’t common since the state’s geography makes it difficult to build underground. The plot was another strong part of the play. It was interesting that it had a plot line for each of the major characters. Even when events for different characters were happening almost simultaneously, the audience could still take them both in and switch between them easily. This made the story more engaging and relatable, and Round House handled it well. One way that the production team helped the audience make sense of this busy play was with the lighting. The lighting was also used very well to separate day from night. The orange and yellow lighting for the early morning sun against the house looked very realistic and was one of the most beautiful parts of the set. The moonlight during the night scenes was cool and blue while still showing actors clearly. During the Hanukkah scene, the atmosphere is light and cheerful. The family speaks a few words in Yiddish and some Hebrew, which makes it more realistic. One stereotype of Jewish people that drives the plot is that Jewish people are misers. The main plot centers around Rose wanting Noah to save pennies and quarters from the wash. It all highlights how privileged the family is because their son takes money for granted. The actors were also great. It was difficult not to get involved with the characters and their emotions. McCahill uses body language to perfectly convey the panic Noah must feel when realizing that he lost the $20 bill. When he realizes that Caroline has the bill and intends to keep it, you can feel the indignation and anger in his voice as he sings with Caroline as he begs for it back and it devolves into name calling. Payton also did a good job as Caroline. Her best scene was when she and Rose were talking about how Noah leaves change in his pockets and Rose asks Caroline if her children manage their money well. The obvious sarcasm that Payton delivers just makes the lines that much more funny and highlights the absurdity that Rose thinks Caroline’s family has the money to have that problem. The only issue was there were times when two characters were singing together and it was difficult to understand who was singing what. However, it was generally clear what the actors were saying. Overall, I loved this play and look forward to reading the book on which it was based. Round House will be presenting this show through Feb. 26. See http://www.roundhousetheatre.org/performances/caroline-or-change/ for more information. Alyson is a senior journalism major. She can be reached at kayalyson73@gmail.com. No Replies to "Round House's "Caroline, or Change" successful, addresses important issues of class and race"